A lone pest controller wearing an aluminium jumpsuit under his clothes travels through the night on his motorbike. Indescribably strange Iranian sci-fi, following a lone exterminator through a single mysterious night. Vahid Vakilifar’s extraordinary film takes Iranian cinema in a strange new direction. A lonely, silent pest exterminator travels through the night, plying his trade in a variety of buildings, some vast and modern, some pre-revolutionary and decaying. 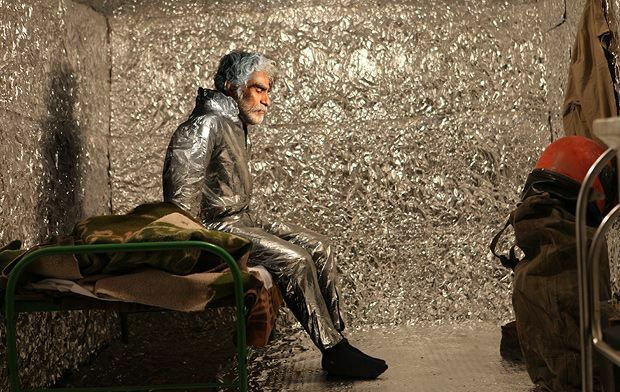 The man himself may be disintegrating: his home is walled with tinfoil and he wears reflective clothing to protect himself from the mysterious microwave radiation which may be cooking him alive.